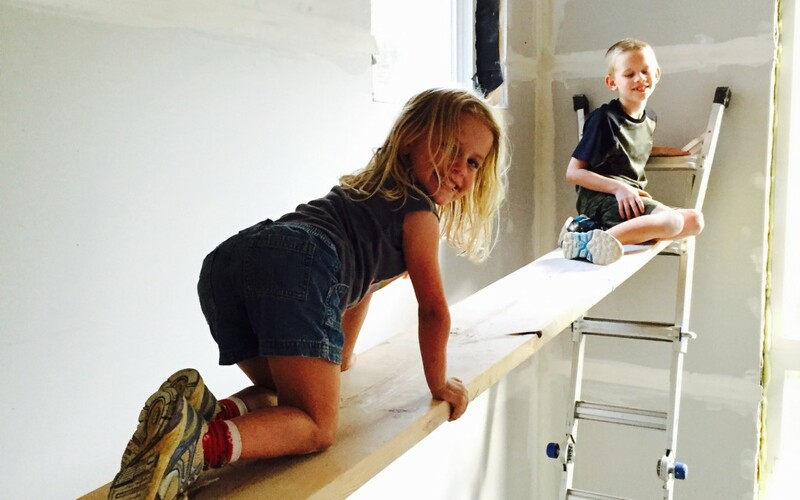 One of those steps that really makes a project feel like it’s coming together is drywall! This was another example of the value of getting multiple bids! One bid for insulation and drywall came in at over $30,000. The price we ended up with was $5,000 for insulation (which included upgrading to R-21 in the walls, upgrading our overhangs to R-38 and the 1st bid wasn’t even going to do the garage….oh yeah, and sound insulation around the master suite and the laundry room!). and then around $11,500 for drywall. After the insulation inspection we were given the go ahead to close-in and get the drywall hung. The installer wasn’t excited about our idea to do trimless windows, by wrapping the drywall, so that was what Robyn and I did over the weekend! We are hopeful we can finish hanging the doors (luckily we don’t have very many!) and the little bit of trim work so the painter can get in there and get the first coat sprayed! 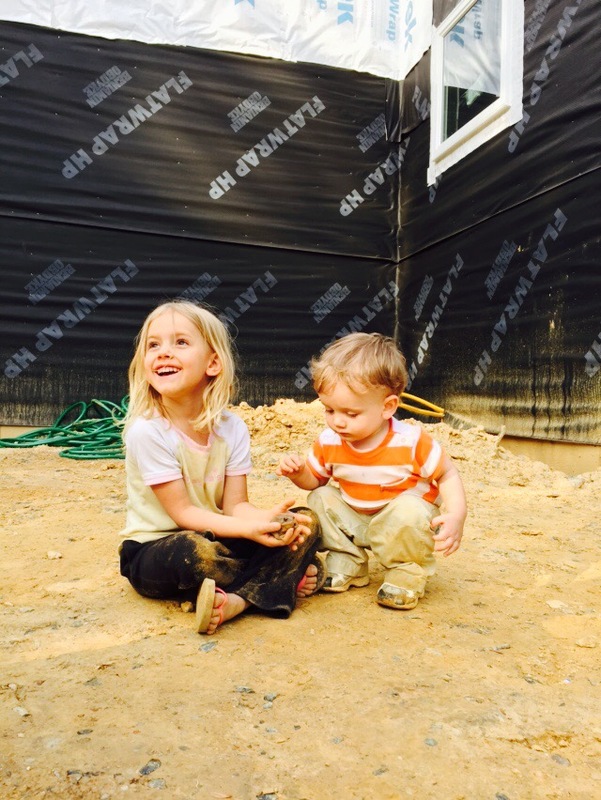 While Robyn and I are working, our kids have been loving the DIRT and all that comes with it! Isabel named this one “grandpa toady”. She looks for him every time we come. Sawyer just wants to smash him! 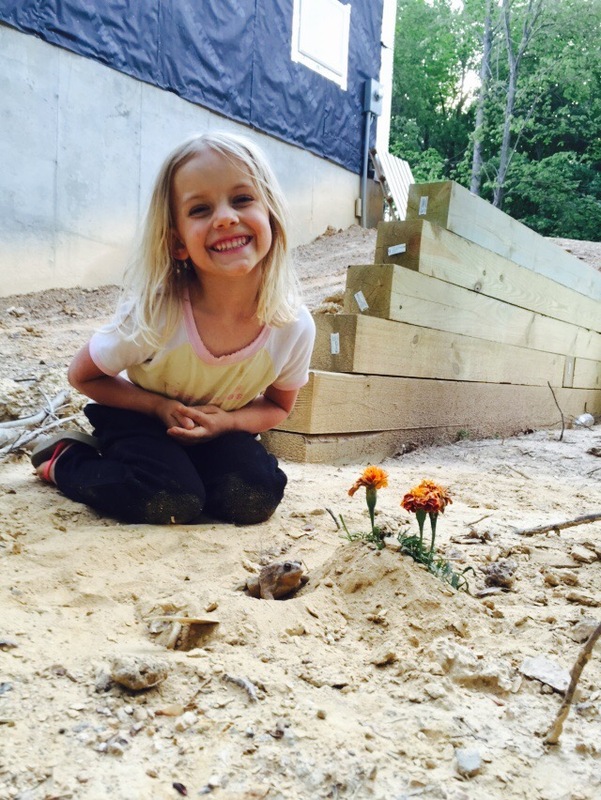 Isabel even made a little bed for him next to the flower she planted. He stuck around a lot longer than I thought he would, especially given the torture Isabel and Sawyer put him through! ©2014 MAKE: Design + Build/ llc, All rights reserved.